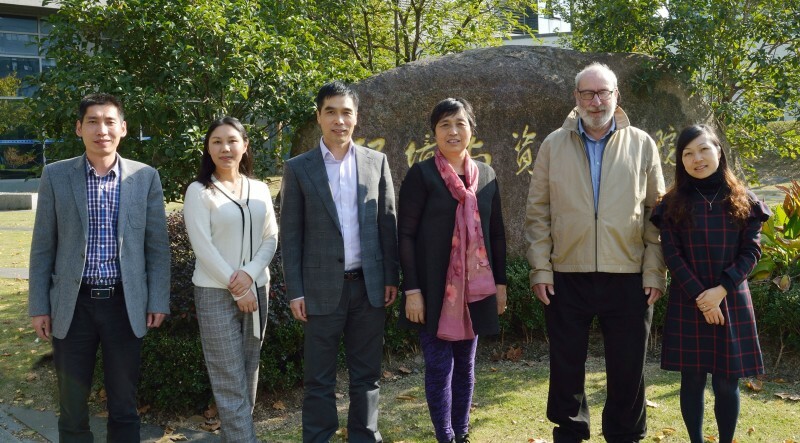 The College of Environmental and Resource Sciences at Zhejiang University is leveraging its multidisciplinary resources and has become a leading player in environmental science and ecology research. 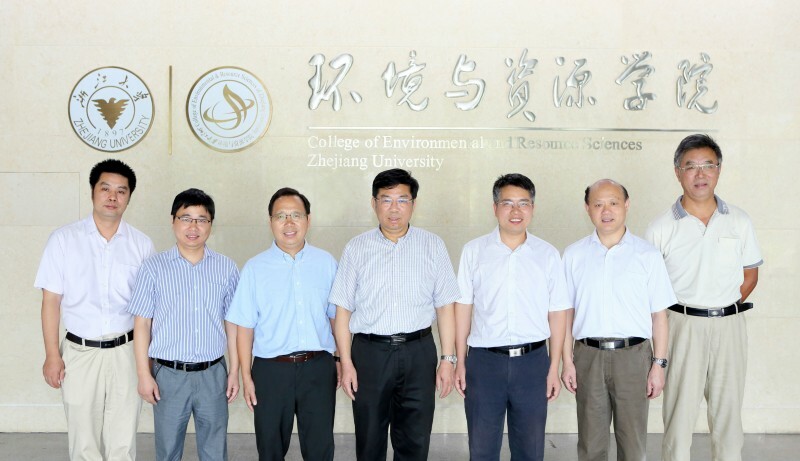 The College of Environmental and Resource Sciences (CERS) at Zhejiang University was established in 1999 through the merging of a number of departments and institutes from Zhejiang University, Hangzhou University and Zhejiang Agricultural University. It is an energetic research institution that has shown maturity in its key fields of research —environmental and resource sciences, and ecology. Today, with a young and efficient leadership team led by Chen Baoliang, the CERS dean, and Yao Xin, CERS party secretary, the college is now a national platform for developing major science and technology innovations that support sustainable socioeconomic development, among other things. CERS is made up of three broad departments: environmental science, environmental engineering and resource sciences. According to Essential Science Index (ESI) data, as of May 2018, CERS was ranked for the 12th year in a row among the top 1% globally in terms of the number of citations it received in publications on environmental science and ecology during the past 10 years. CERS’s teaching and research facilities cover almost 25,000m2 and they are equipped with advanced instrumentation worth 167 million RMB (roughly US$26 million). It boasts an experimental teaching centre and eight research institutes that focus on areas ranging from environmental science and technology, pollution control technology and environmental health to agricultural chemistry, soil-water resource management, agricultural remote sensing and information technology. In addition, CERS is home to: a national experimental teaching demonstration centre for environmental science and resources; a national engineering laboratory on pollution prevention and the control of field soil and relevant remediation technologies; as well as a Ministry of Education ‘Key Laboratory’ on environmental pollution remediation and ecological health. CERS also has several Provincial Key Laboratories, focused on areas such as agricultural resources and environment, water pollution control and environmental safety technology, organic pollution processes and control, and engineering and technology solutions to pollution control for industrial furnaces and kilns. Research groups at CERS are tackling cutting-edge issues in environmental science and this work has led to many innovations that address China’s strategic needs. Based on Zhejiang University’s interdisciplinary work in the natural sciences, engineering, agricultural sciences and medicine, CERS’s strengths are in: organic pollution processes and remediation; pesticide pollution and its health risks; surface source pollution control and remediation; desulfurization, denitrification and volatile organic compounds (VOC) processing; environmental biotechnology; soil interface process and mechanism; plant nutritional and stress physiology and molecular adaptation mechanisms; soil pollution control and remediation; as well as information transmission between plants and their environment. 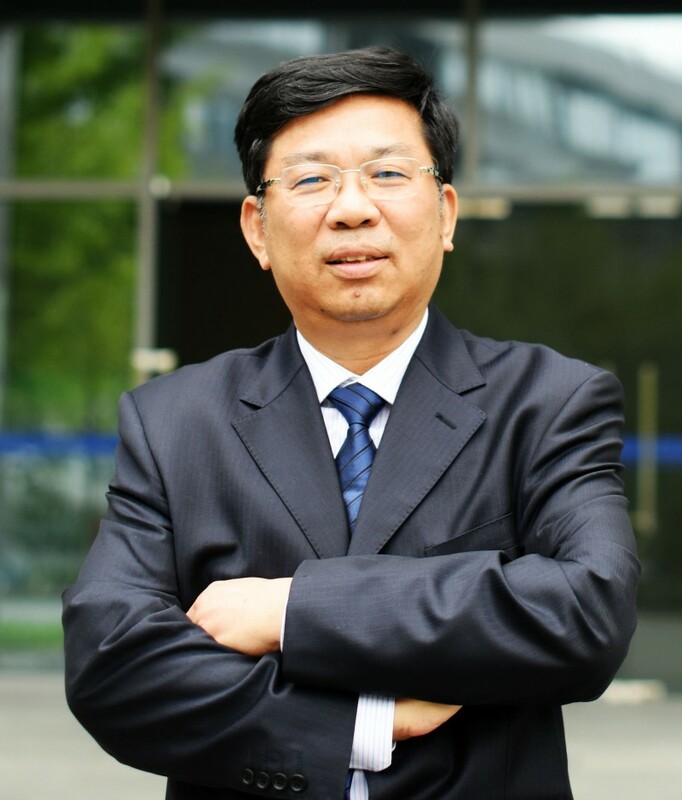 One example is the work of Zhu Lizhong, a CERS professor and a member of the Chinese Academy of Engineering (CAE), who leads a team that uncovered the mechanisms of the interfacial behaviours of organic pollutants and developed technologies to control them. By mapping the life-cycle of pollutants as they move and transform on a molecular scale in soil, water and air, Zhu’s model of contaminant transport has shed light on controlling organic pollution and bioremediation of contaminated soil. The result is already successfully applied in remediation projects in the region and has won Zhu the National Natural Science Award and the National Science and Technology Progress Award. Furthermore, CERS researchers have won national awards for their technologies enabling recycling and reuse of animal waste. Since 1999, CERS researchers have won 69 national, ministerial and provincial awards, including five National Science and Technology Progress Awards, one National Natural Science Award, one National Technology Invention Award and 15 first prizes for provincial and ministerial science and technology awards. During the last five years, the college has undertaken 11 large-scale research projects costing in the region of 10 million RMB (US$1.6 million), with an annual research budget of 130 million RMB (roughly US$20.3 million) or 1.3 million RMB (roughly US$203,000) per person per year. These have led to approximately 60 patents and more than 260 publications in journals listed in the Science Citation Index (SCI) each year, including high quality journals such as Nature and PNAS. CERS claims a comprehensive educational arm, offering four undergraduate degrees—environmental science, environmental engineering, resource environment and agricultural resource and environment, six master’s degrees and two doctoral programmes. It also has two postdoctoral programmes in its specialty areas: environmental science and engineering, and agricultural resources and environment. The college currently enrols 369 full-time undergraduates, 392 master’s and 257 doctoral students, in addition to 27 international students, most of whom are in doctoral programmes. CERS’s environmental chemistry and environmental microbiology courses are considered ‘National Quality Courses’ by the Chinese Ministry of Education. The college has also won three provincial teaching awards. Its students are active in science communication and volunteer activities, advocating for ecological and environmental protection in local communities and rural areas. CERS has already produced a large crop of quality students, who have become academic leaders or innovative entrepreneurs. Its alumni include two members of the Chinese Academy of Sciences, one CAE member, 17 recipients of the National Science Fund for Distinguished Young Scholars and seven Cheung Kong Scholars. Human resources are at the centre of CERS’s development. The college has 127 faculty and staff, including 48 professors and 51 associate professors, and 80% of its faculty have overseas experience. Among CERS’s distinguished faculty members are: one CAE member; four experts selected into the national ‘One Thousand Talents’ Plan; six Cheung Kong Scholars or Chair Professors; six recipients of the National Science Fund for Distinguished Young Scholars; and other experts selected into various talent plans. Many CERS faculty members are also recognizable internationally. Eight are ranked as highly-cited Chinese scholars, according Elsevier’s 2017 list. Moreover, more than 10 CERS researchers are fellows of key academic associations, such as the UK’s Royal Society of Chemistry, American Association for the Advancement of Science and Soil Science Society of America. Fifteen faculty members are on the editorial boards of key international journals, such as Sci Total Environ and Plant and Soil. CERS currently has open positions for experienced experts, as well as talented young scholars. Distinguished scholars with backgrounds in environmental science and resources, either from home or abroad, are encouraged to apply. During the last five years, CERS has established collaborative relationships with world-renowned universities and research institutions. Examples include joint environmental research centres with the University of Western Australia, the Helmholtz Association in Germany and Fuji Electric in Japan, as well as joint training or exchange programmes with the University of Illinois at Urbana-Champaign and Rutgers University in the United States. The college has also organized more than 10 international academic conferences, enhancing its global image. CERS is looking forward to enhance its international collaboration in student training, research and conferences.